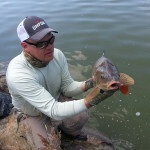 The greater Denver metro area offers some of the finest carp fly fishing in the country! 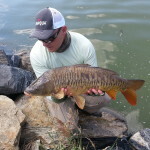 Carp are a wary, intelligent fish and present the angler with unique challenges. It takes patience, persistence, stealth, and skill to get them hooked up. 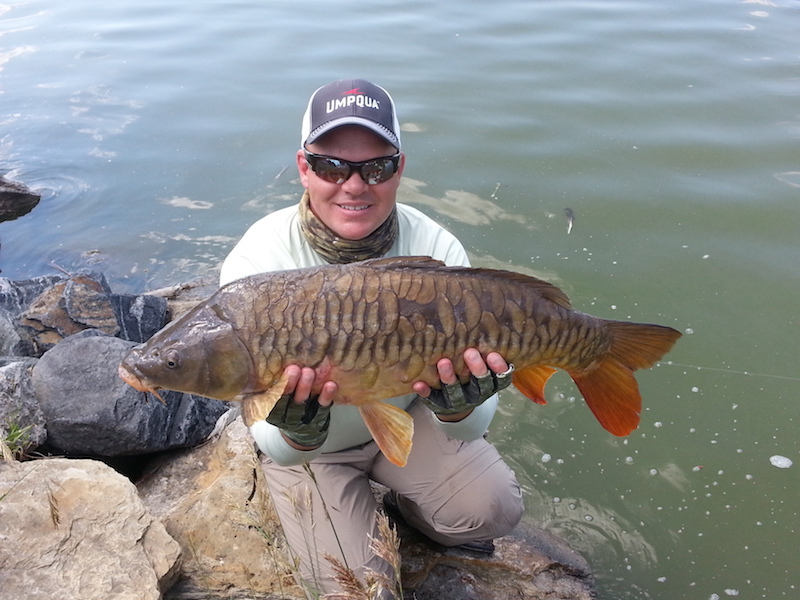 A guided carp fly fishing trip is a wise investment to help you successfully fish to them. The reward? Fish measured in POUNDS that have no trouble ripping into your backing! 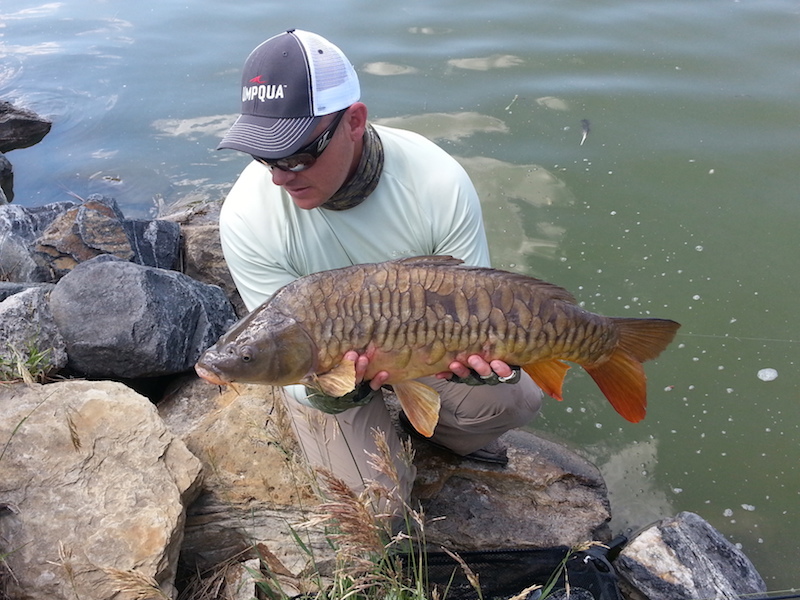 The DSP offers some of the largest carp in the area, and some of the wisest. Carp fly fishing has a dedicated local following, putting pressure on the fishery. The extra element of river current adds to the challenge of fooling these fish. But again patience, perseverance, and respect for the fish will pay off in time. Perched on the Denver South Platte looking for carp! 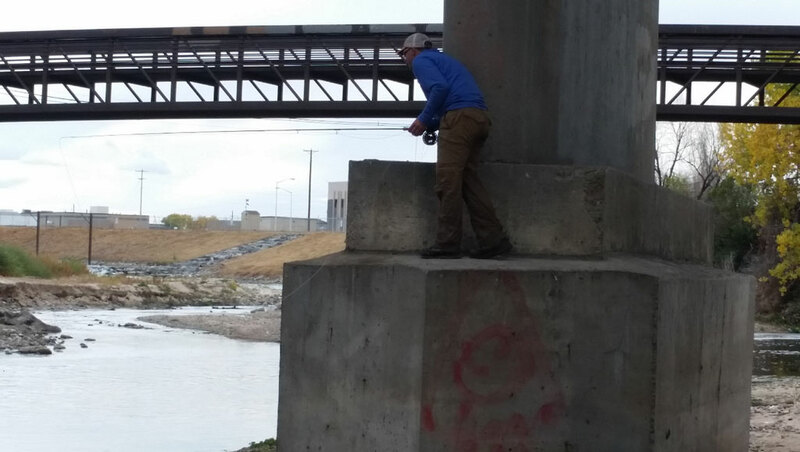 The Denver South Platte is truly an urban fishery, cutting right through the heart of the city. Parts of the river have undergone restoration, and work continues to bring back the resource. 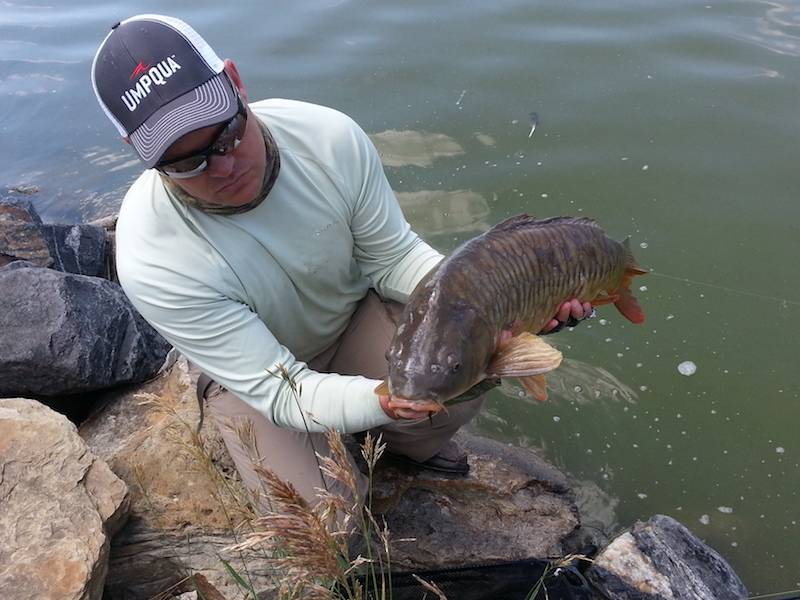 Denver’s temperate winters don’t allow the river to freeze over, and the carp that inhabit it will feed throughout the year. This allows for good growth rates and some BIG carp! 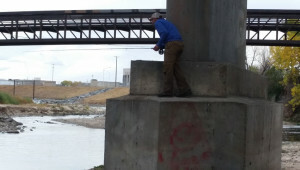 It’s not well known that the South Platte through Denver is a year-round fishery for carp, smallmouth bass, and even trout. In the cooler months, the best days are during a warming trend. Give us a call, or quick email to inquire about current conditions. 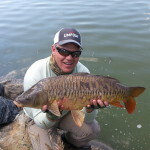 Within an easy drive of downtown Denver, you can find an array of lakes and reservoirs holding large carp. 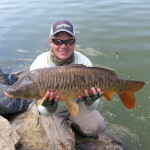 Stillwater carp season typically runs from mid-March into October. Typically, we stalk the margin of the lakes looking for targets. 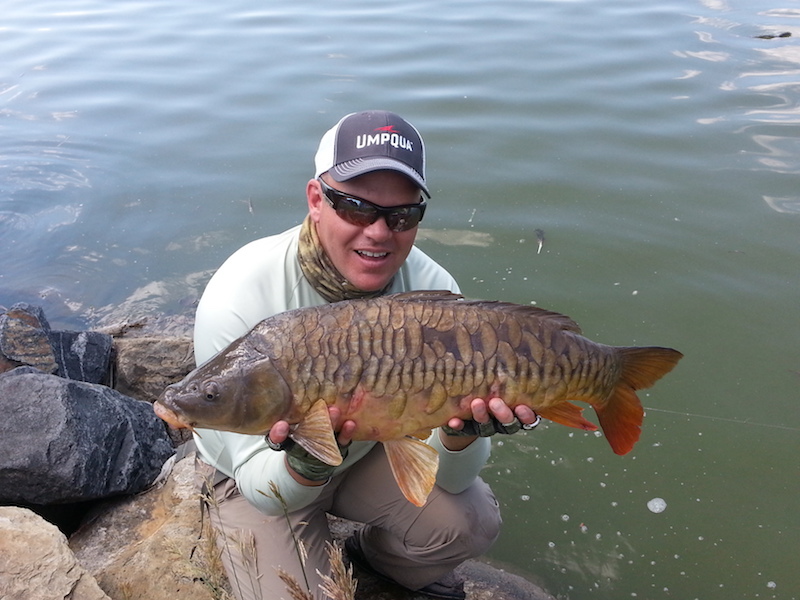 Ideally you’ll find happy carp tailing, already on the feed. Other times, wading can be productive. The guides know the area lakes and the best ways to approach them. Turn up the degree of difficulty a few notches and chase the big boys from a stand up paddleboard! 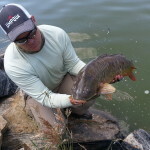 Over the past few seasons, we’ve been exploring new areas for carp on the board. The SUP allows you to access fish that would be difficult or impossible from shore or by wading, while still allowing for stealth and visibility. Paddleboarding experience is helpful and recommended before taking on this trip. 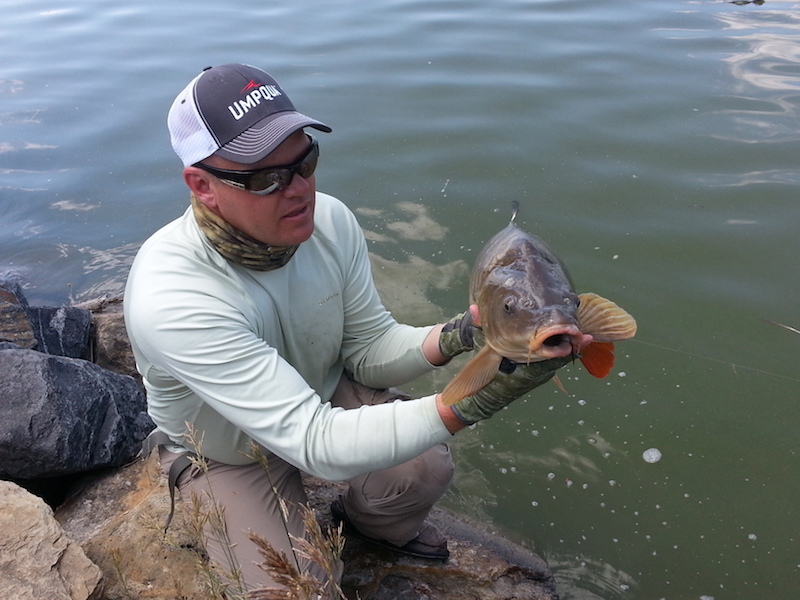 To give you a better idea about this experience, check out this video series from Fly-Carpin. His website features a myriad of articles, tips and videos to help you get started.